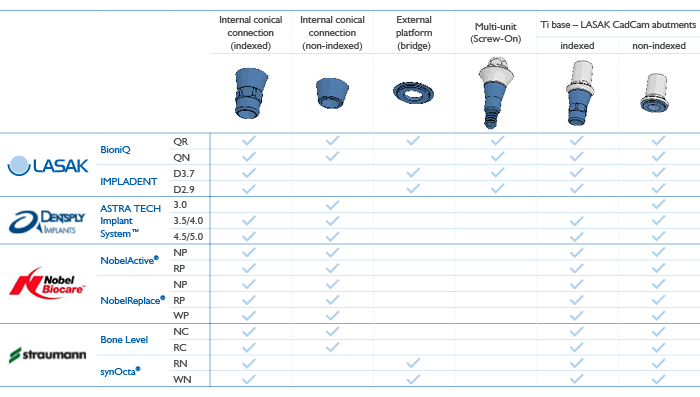 Compatibility chart | LASAK Ltd.
We are able to mill the frameworks for the following systems and connections. In the LASAK BioniQ and IMPLADENT systems, you can design the frameworks with your own scanner using the LASAK CAD library and LASAK scanbodies. The frameworks are designed using the provided STL data (LASAK CadCam STL) or master cast (LASAK CadCam PRECISION). 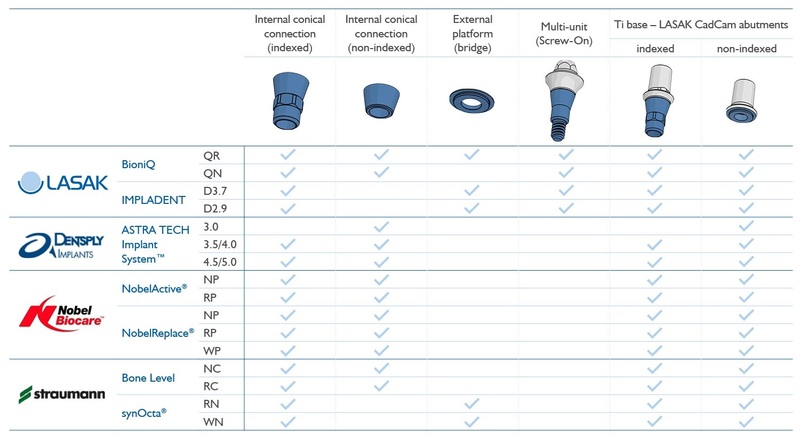 In other systems, the frameworks are designed using the master cast (LASAK CadCam PRECISION) only. The frameworks are always supplied with compatible fixing screws.